Edward Ruscha is a pioneer of the American photobook. Between 1962 and 1978 he produced no fewer than sixteen artist’s books, fourteen of which will be offered as a lot in Swann Galleries’ October 25 auction, Art & Storytelling: Photographs & Photobooks. The lot includes Ruscha’s rarest title, Dutch Details, the majority of which were destroyed in a warehouse accident. His work solidified the idea that a book could exist as art itself, and not just to illustrate it. Lot 413: Ed Ruscha, Fourteen Photobooks, 1963-78. Estimate $20,000 to $30,000. Ruscha drove his first car and life-long muse, a 1950 Ford, from Oklahoma to Los Angeles in 1956, the same year the Interstate Highway Act was put into place. It was a trip that would continue to fuel his artistic process for years to come. He found himself in a culture obsessed with wheels and his photographs of the time came to emphasize this, portraying aspects of the road and the “cultural curiosities” that fall by the wayside: empty lots, garbage, palm trees, signage and, of course gas, stations, all witnessed in that distinctive West Coast light and reproduced to evoke the feeling that they were viewed out the window of a moving car. Lot 413: Ed Ruscha, Some Los Angeles Apartments, one of fourteen photobooks, 1965. Ruscha employed a variety of different photographic techniques when producing his books. Some of the photographs appear as all-American snapshots while Every Building on the Sunset Strip features an elaborate twenty-four-foot accordion-style panorama, taken with a car-mounted camera. Ruscha referred to these images as “Motorized Photographs.” A Few Palm Trees includes photographs each taken with the “camera facing west.” Three of the titles–Thirtyfour Parking Lots in Los Angeles, 1965, Royal Road Test, 1967, and Records, 1971–incorporate images made by his friends and contemporaries, under Ruscha’s direction. 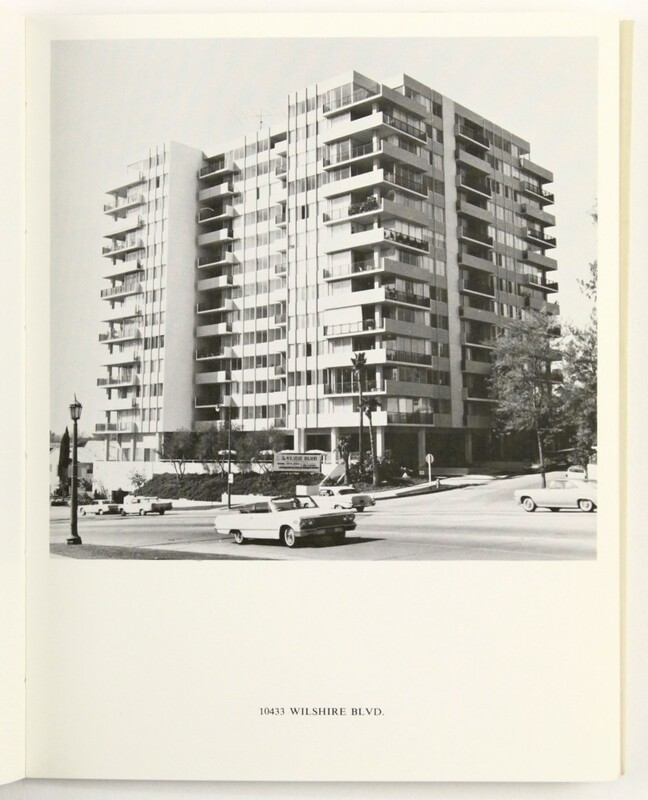 Lot 413: Ed Ruscha, Every Building on the Sunset Strip, one of fourteen photobooks, 1966. Estimate $20,000 to $30,000. In the typologically-dominant oeuvre of books, Ruscha has also employed his signature style in three narrative titles: Royal Road Test, in which a Royal typewriter is ejected from a 1963 Buick Le Sabre travelling at 90 miles per hour, the strewn wreckage documented in a straightforward crime-scene aesthetic: Hard Light, which defies categorization; and Crackers, an illustration to a short story by Ruscha’s friend and musician Mason Williams, identifying the way to derive maximum pleasure from crackers. Each of the books hashes out a banal narrative, a seemingly twisted version of everyday activities. 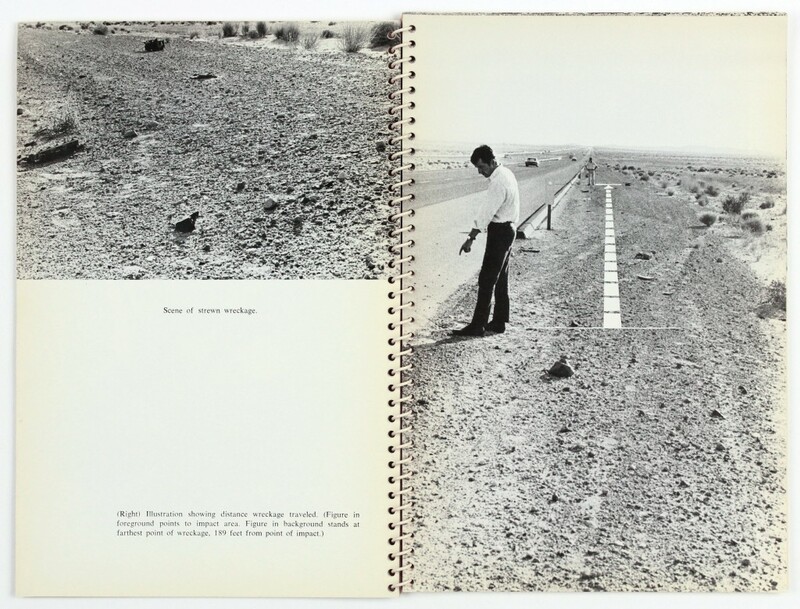 Lot 413: Ed Ruscha, Royal Road Test, one of fourteen photobooks, 1967. Estimate $20,000 to $30,000. Although he hasn’t mentioned it, it appears that Ruscha was influenced by vernacular photography that was utilitarian rather than artistic. Ruscha produced his first book “Twentysix Gasoline Stations” in 1962. The influence of corporate advertising is apparent, and the title can be read as a comparative document compiled by an oil company, planning their newest location on Route 66. 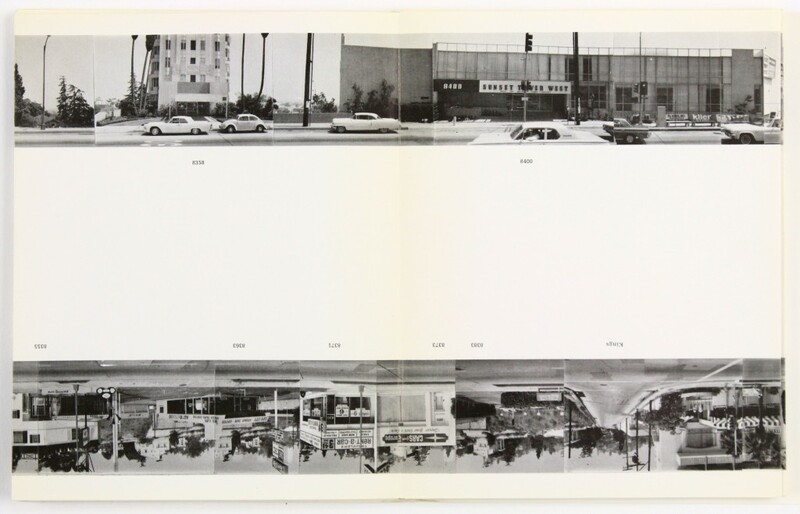 Lot 413: Ed Ruscha, Twentysix Gas Stations, one of fourteen photobooks, 1963. Estimate $20,000 to $30,000. More photobooks can be found at lots 375 to 417, or browse the complete catalogue.